Ah yes, the carnival. A place where one can go to watch the oddest assortment of people wandering the fairgrounds. It is a place where mullets are in, and sleeves are out, and a mans self-worth is measured only by how much fried food can fit in his belly. It is the one place where you can go and see people who call you neighbors but you never knew of their existence. In a simpler time, these people were not allowed outside the sideshow tent, but we are a more accepting society now. 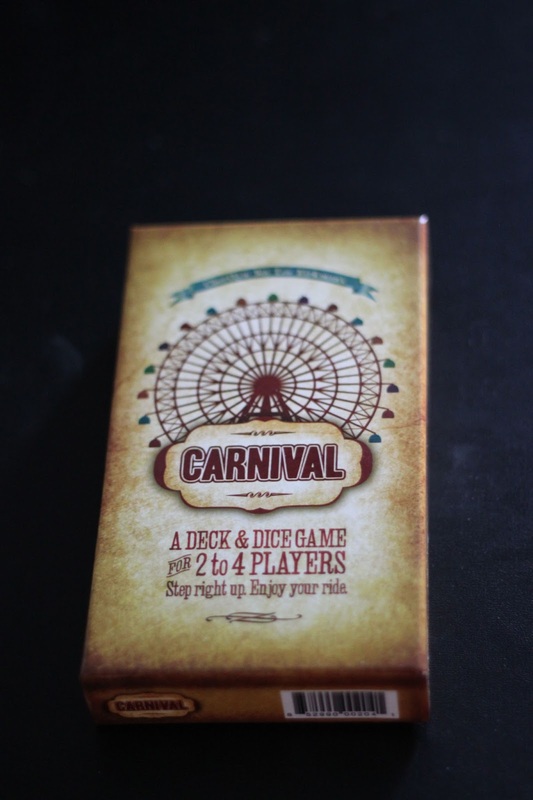 And now, there's a game based on all the excitement there is to be found at the carnival. And what is this mysterious games name you ask? Ok, so pretty much none of that fancy lead in is true about this game, but how cool would it be if there was (hope you're paying attention Cherilyn - that's the premise for Carnival 2: Carnie Boogaloo). 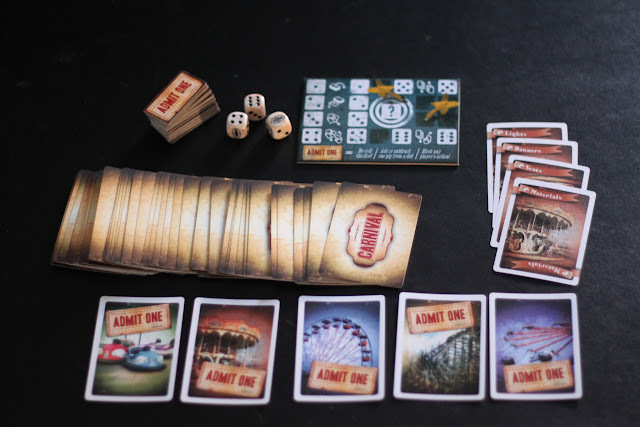 Carnival from Dice Hate Me Games is their first release, and at its heart is a set taking card game with a minor "worker placement" mechanic to drive the action of the game. In the box you'll find dice, an action board to assign the dice, and cards used to build the rides at the carnival, and tickets. Lots of glorious tickets. 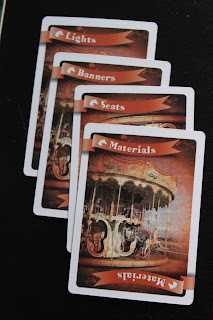 In the game, you take on the role of a glorious carnie setting up the rides on the midway. 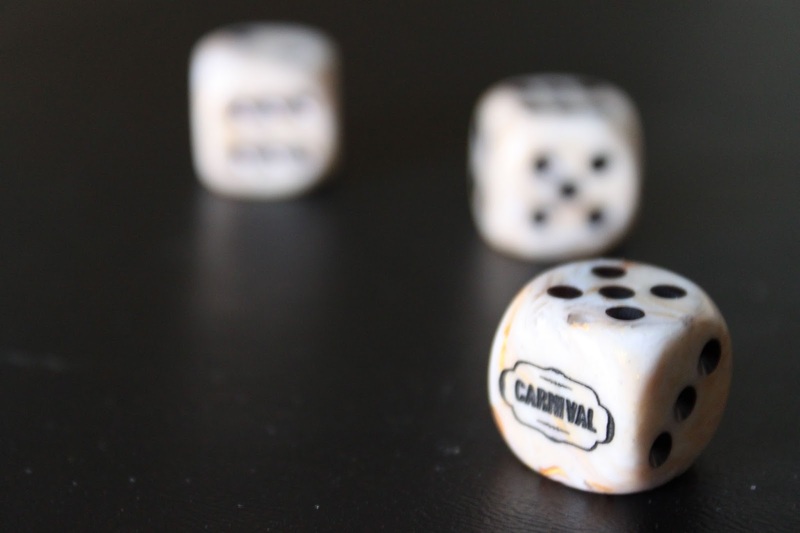 In typical carnie fashion, you are trying to be the first to build four out of five rides to win and become the carnie king. Nowadays there are unions that keep this timeless tradition from happening, but back in the day carnies would race to get their rides set up first and would steal and sabotage each other while MacGyvering their way to the top. 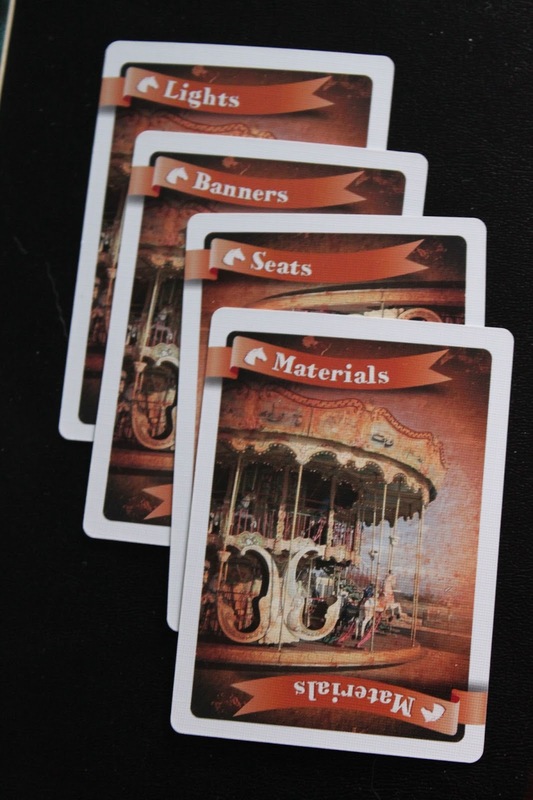 Once their actions are complete, players will then play cards from their hand to complete rides along the midway. Now, along the way other players will try and steal and trade away your cards that you need to win in order to screw you and win themselves. This is where the glorious tickets come into play, as they will block an action from happening so that "yellow seat" card that you've been holding on to will remain safe, for at least a little bit longer. 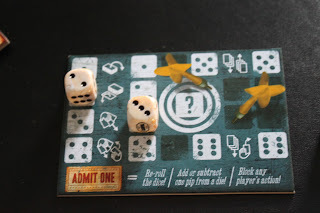 These tickets can also be used to modify or reroll the dice if the actions they produce do nothing for you. The game is a light, fun game that has a bit of chaos to it, but with some strategy as well. I like the idea of rolling dice and assigning them to actions, and its simple enough that you can pick it up and learn pretty quickly and be moving within 10 minutes. It's not really a deep thematic game, but its theme adds to the fun, especially if you play the part of a carnie while playing (note - may freak your significant other out in the process). I had issues with the included rules as I found them a bit out of order, but I accept the fact that my logical progression does not always match that of others. Also, the first time we had a chance to play was on New Years Eve and several drinks were had by all at this point, so I'm sure that didn't help much. In the end, everything you need to play is in the rules and as long as you read it all you're good. But heres the thing - in a world where Kickstarter makes it possible for small indie publishers like Dice Hate Me to fund a project like this, the world has become smaller and more accessible. I was able to tweet the team behind the game for rules clarification, and within a few minutes they tweeted back with an answer. 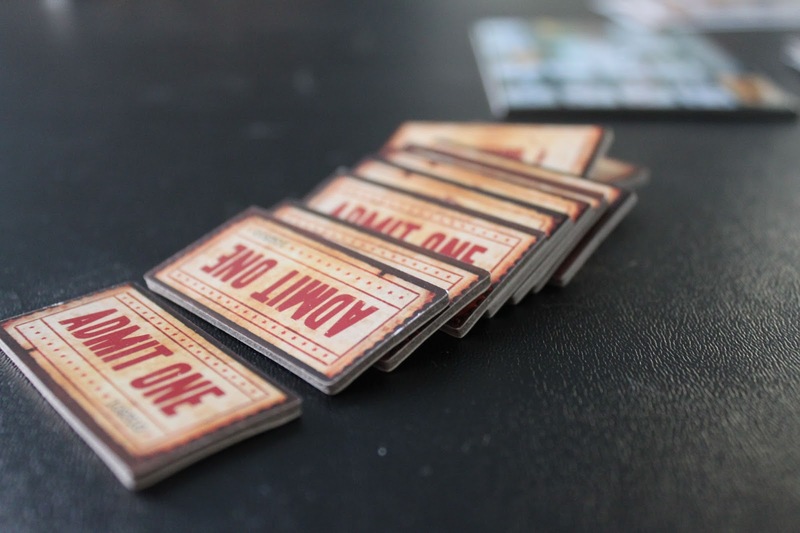 While not every publisher may be this accessible, it's pretty fantastic to know that the games put out by a pair who are willing to connect with their audience and help make the experience more ideal and personable. Awww... I read that last sentence as Viva Jawa!